A lifeboat was called to assist. The single-handed crewman of the Olivia Rose, a small fishing boat, made a mayday call at 10.30am after grounding herself near to Sandray, to the south east of the Isle of Barra. The RNLI Barra Lifeboat crew were called to assist. A full crew left Castlebay shortly after 12.40pm, and helped to rescue the man bringing him into Vattersay Bay shortly after 12 noon. The Coastguard in Stornoway coordinated efforts to rescue the man. The skipper is described as being “safe and well”. A spokesman for the Maritime and Coastguard Agency said: “We coordinated efforts to rescue a crewman from a vessel that had grounded in Barra. “The vessel is a fishing boat, the Olivia Rose. “We received a mayday call at 10.30am to the fishing boat, and we tasked the RNLI Barra Lifeboat to assist. “The boat was located at Sandray to the south east of Barra. “The boat was a single handled vessel, one crewman was aboard. It was the crewman who made the initial mayday call. “When we called back to check the position of the Olivia Rose there was no response from the skipper – so we put out a general mayday for the vessel. “The Lady of the Wave relayed the communications from the Olivia Rose to us, using channel 16. The Olivia Rose could communicate with her, and then the Lady of the Wave passed the message onto the Coastguard. We were then able to confirm her location. “The fishing boat, the Firecrest, got the mayday call and immediately responded. “The RNLI Barra Lifeboat then arrived on the scene and took over the tow of the Olivia Rose, and the transfer of the crewman. 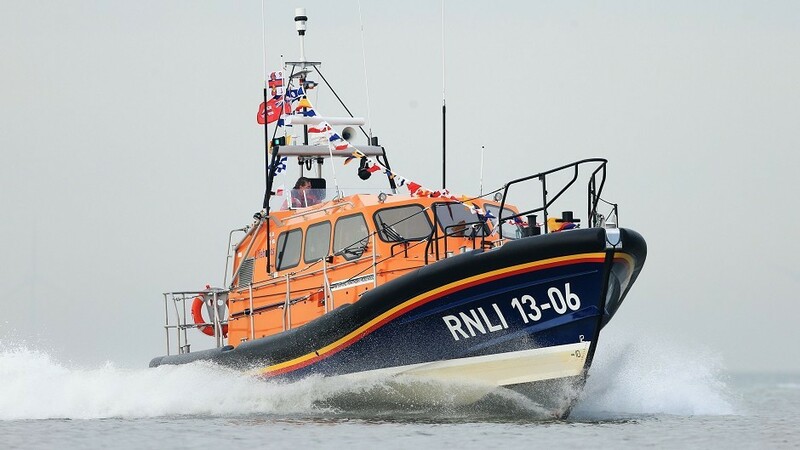 A spokesman for the RNLI Barra Lifeboat said: “We received a mayday call at 10.34am and seven crew members were on their way to Sandray by 10.40am. “The single-handed crewman had got into difficulties after a rope was caught in a propeller. “He put down his anchor immediately but he was very close to rocks.